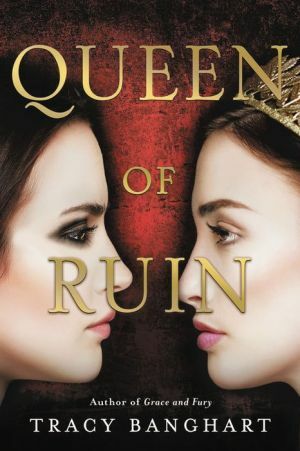 A fierce sequel full of sisterhood, heart pounding action, betrayal, and intrigue in the royal court in a series that "breathes new life into the feminist story of oppression and resistance" (Publisher's Weekly). When the new, brutal Superior banishes Nomi from Bellaqua, she finds herself powerless and headed towards her all-but-certain death. Her only hope is to find her sister, Serina, on the prison island of Mount Ruin. But when Nomi arrives, it is not the island of conquered, broken women that they expected. It is an island in the grip of revolution, and Serina--polite, submissive Serina--is its leader. Betrayal, grief, and violence have changed both sisters, and the women of Mount Ruin have their sights set on revenge beyond the confines of their island prison. They plan to sweep across the entire kingdom, issuing in a new age of freedom for all. But first they'll have to get rid of the new Superior, and only Nomi knows how. The stakes are higher and the battles bolder in Tracy Banghart's unputdownable sequel to Grace and Fury.